Home » Posts Tagged "vSphere 6"
Dude you’re getting a Dell, again! My “brand new” R710! Dude you’re getting a Dell, again! This blog entry documents the brand new Dell R710 I found on eBay and how I prep it to be a second host in my vSphere 6 cluster! Dell VRTX officially supports ESXi 6.0! 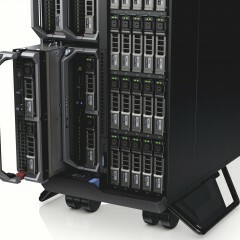 Dell and VMware both support the VRTX chassis after a long wait! There are some specific drivers and firmware required, but it’s well worth upgrading! Read more inside!